I grew up in East Detroit, the loft is in the Charter Township of Clinton, and I live in Grosse Point Woods. I’ve been near Detroit my whole life, graduating from high school here in 1973 and ultimately going to Michigan State University for school. My wife and I have lived here for 30 years. Grosse Point is a great community – I’ve been able to access the sailing scene, my wife has taught school for as long as we’ve been here, and this is where we’ve raised our 3 boys who are now 27, 25, and 16 years old. I’ve been making sails since 1973, originally as a way to make money through school. I started with Bob Scoville building Fireboat and 470 sails. From there I went on to work with Bruce Banks and since then I’ve worked with a number of other sailmakers – including Ullman Sails from about 1982 to 1985. I’m excited to be back! Sailing has always been a part of my life. From a young age I was bouncing around on prams and other dinghies, and my father was always sailing. I really got serious when I was 16. My dad purchased a 470 for my sisters and I, which was a really big purchase for my family at the time. That was the boat that really got me going. When we got our sails they peaked my curiosity. I wanted to know how they were made and what made them fast. Since 1973… so over 40 years now. The actual sailmaking part of it has been part of my life forever. Getting on my hands and knees, sewing, drawing the designs on the floor, getting the sail on the boat, etc. Now, digitizing sails, taking pictures of old sails and looking at how we can make them better is a fun part of the job. But my favorite part is making a deal with the customer, and then ensuring that he is absolutely satisfied with the sails once he sees them on the boat and performs well with them. It is extremely rewarding when they tell their friends or brag about the sails – that’s when you know you’re doing something right. 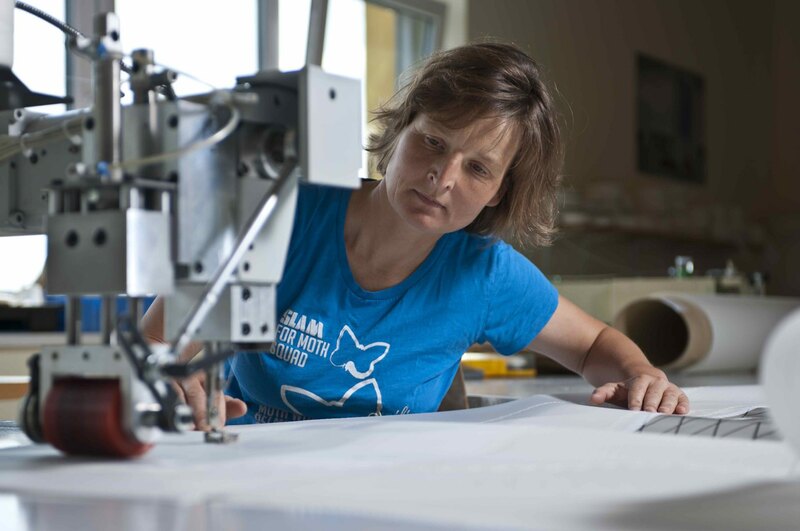 Sailmaking has also provided a number of opportunities for me – from professional sailing on successful campaigns to doing seminars with interesting groups of people, and so on. The first sail I ever made was when I was in college sailing in the Thistle class. I made a mainsail for my boat with the help of Bob Scoville. It was a different time; you had to sew on sail numbers instead of just sticking them on. That was a good sail – a nice 4.2 NYT mainsail. I won the Midwinter’s that year with the sail, out-sailing 115 boats in St. Petersburg, Florida. 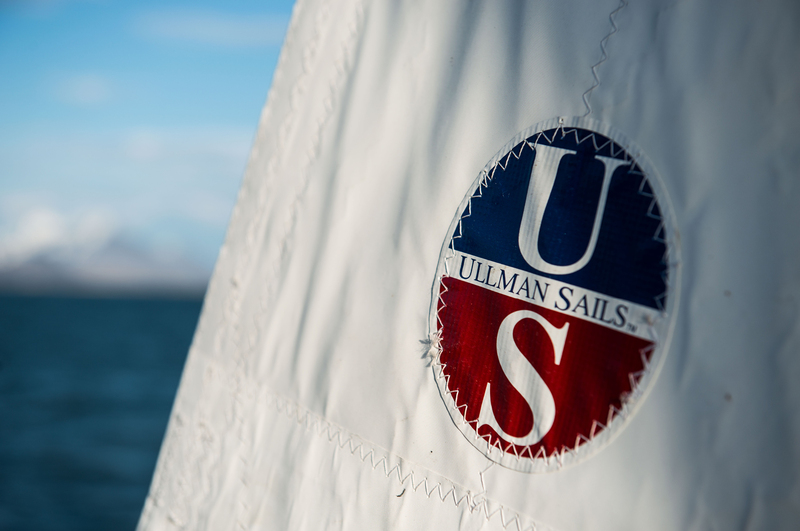 How did you meet David Ullman and decide to rejoin the Ullman Sails group? David and I were competitors. I first met him at the first Key West 470 Regatta in 1975 – of course he won it. At the time everyone was sleeping in tents on the beach in a pretty casual environment. Dave was easy to talk to, easy to be around. I liked that he didn’t have an “I’m better than you” attitude, despite his obvious sailing ability. He was cool. I’ve also done a little big boat sailing with him. In 1978-1979Larry Klein and I were sailing in the Flying Dutchman class with the goal of going to the Olympics in 1980. David was hosting a number of Olympic hopefuls at the time and so I moved to Newport Beach and lived and worked with David for a year – right before the Olympic Trials. What are the highlights for you in sailmaking? My forte is sailing with owner/drivers, I don’t want to be the one to steer the boat. I want to be with the customers and facilitate their needs to help them have a better experience on the water. I think as sailmakers we need to help the people spending the money have fun. I like being the only CAT 3 crew on a boat. I prefer that dynamic – being around people who are sailing for the fun of it. After a good day on the water with productive movement forward, I walk away with a good feeling. What are some of the bigger events near your loft? What can you tell us about them? The Port Heron to Mackinac race (260-270 boats) and the Chicago to Mackinac race (350 boats) are two of the biggest in the area. They are longer, roughly 300 mile races going up either side of the Great Lakes. Mackinac is a cute island, the kind of place where only horses are allowed to reside. Both Detroit and Chicago also have their “BVOD” Bay View One Design Regattas that see a lot of participation. It would have to be either Miami or Newport Beach. Miami is great sailing-wise with a good sea breeze and minimal current. The Great Lakes are nice, but inconsistent with weather and conditions. I’ve also spent a lot of time sailing in the Mediterranean, and like it a lot, but for different reasons. I used do a lot of cruising with my family – my father had a 30ft boat growing up and after a Mackinac race the six of us would take a cruising route back to the harbor. I think it would be cool to cruise the Greek Isles, or charter a catamaran in the Caribbean, something like that. Wally Cross is an exceptional sailmaker and pro-sailor. 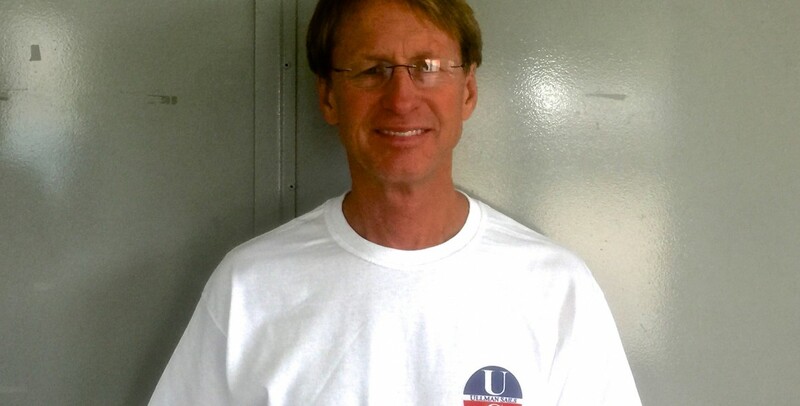 With over 40 years of sailmaking experience and titles in multiple National and North American Championships over a variety of classes, Wally brings a significant wealth of knowledge to the Ullman Sails group. Wally is dedicated to providing his customers with the best value and sailing experience possible. Wally is the President of the Ullman Sails loft in Detroit, Michigan, working with Mike Boston and Ian Pouliot.